Looking to replace your existing axial piston pump to ensure your working hydraulic system is capable of achieving peak performance? Whatever your requirements, HYDAC axial piston pumps are your solution. What’s more, they are available in medium and high pressure ranges for open circuit in swash plate design. They feature a specific displacement flow of 10 cm³/rev to 560 cm³/rev. The high efficiency over an exceptionally long life cycle of the HYDAC axial piston pump (PPV) enables you to get the most out of your hydraulic system. Being so, they have a full through-drive capability. They are available from 11 to 560cc and rated to 350 bar. What’s more, they are available with Pressure Compensator, Remote Pressure Compensator, and Load Sensing Control. Furthermore, their multiple-flange drive-shaft combinations are available in SAE J744 and ISO 3019. Among other advantages, our axial piston pumps boast a large range of speed, a tight through-flow range and short control time. 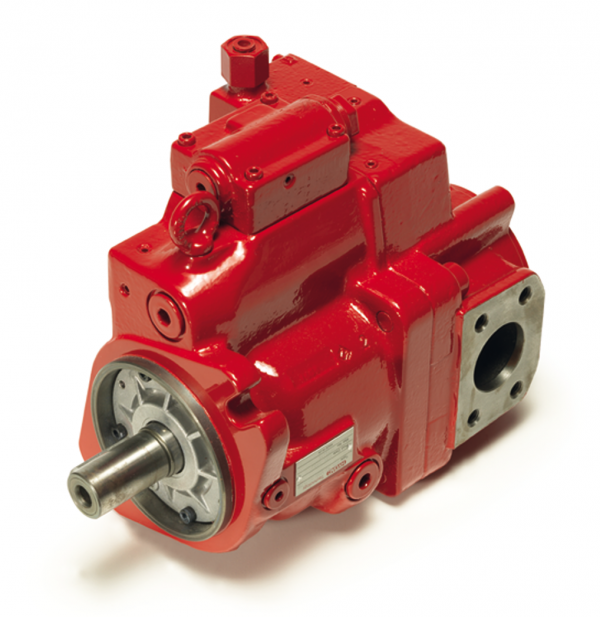 For more information on a particular axial piston pump or any of our other products, contact HYDAC today.